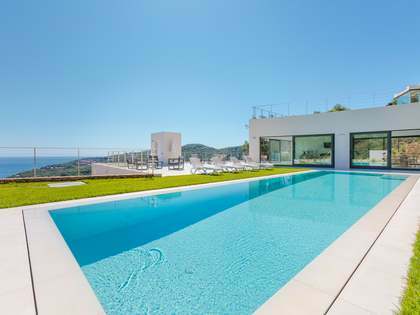 New build 4-bedroom villa with sea views, walking distance to the centre of Begur and a short drive to the area's best beaches. 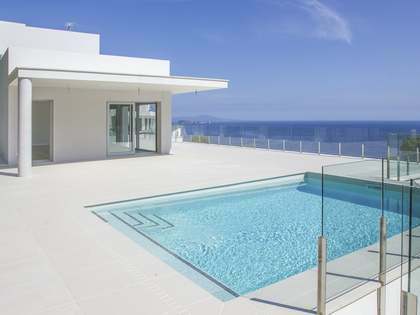 This spectacular newly built house is located in the coveted town of Begur on the Costa Brava. With stunning sea views and walking distance to the centre of Begur, as well as just a few minutes' drive to some of the area´s best beaches, this location would be hard to beat. The property is currently in the construction phase and once completed will be a fantastic family home. On the main floor we find a spacious living-dining area with an access onto the porch and pool which is surrounded by wooden decking. The open kitchen is modern and fully equipped with top of the range appliances. Two of the property's 4 double bedrooms are on this level; 1 has an en-suite bathroom and dressing room. A further bathroom completes the main floor. The upper floor is composed of 2 spectacular bedrooms each with an en-suite bathroom, private terrace and dressing room. A garage for 2 cars, installations room and storage area make up the lower floor. Further notable features include a lift connecting each of the floors, air conditioning, heating and double glazing for year-round comfort and a sound system and Wi-Fi in all of the bedrooms. This property would make a fantastic family home or second residence as well as an interesting investment opportunity given that Begur is one of the areas in highest demand amongst international clients visiting the Costa Brava during the summer months. 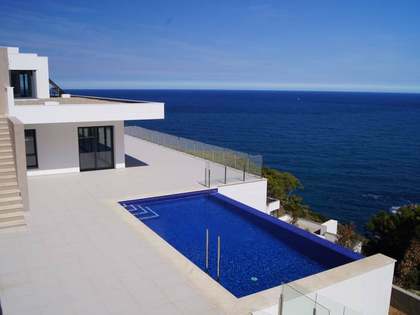 Property located walking distance to the centre of Begur, a highly sought-after destination on the Costa Brava. 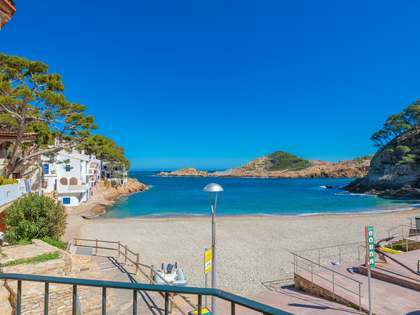 Some of the area's best beaches are a short drive away including Sa Tuna, Aiguablava, Sa Riera, Tamariu and LLafranc.